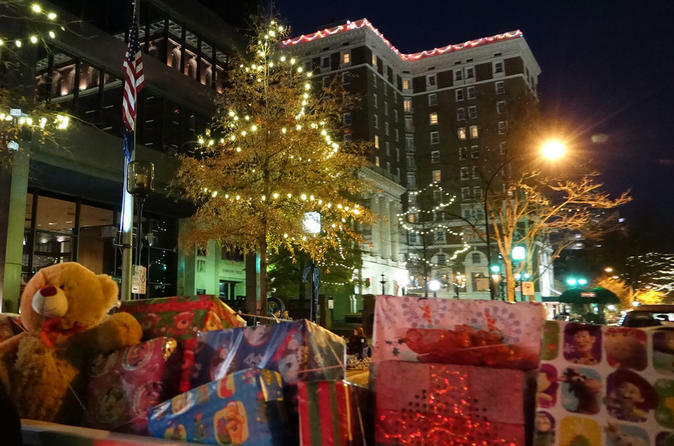 Participants will explore Downtown Greenville and Historic West End's rich history, art and architecture while discovering the breathtaking views of the city during the holidays. Participants will arrive to our office, sign a short waiver form and the tour guide will make sure that your helmets fit properly. Your tour guide will show you a 5-6 minute safety video that will describe the warnings and precautions of riding the Segways. After the video, your guide will perform a short overview of how each guest will operate the Segway before taking the group to our training area to start the individual training. Once everyone is comfortable riding the Segways, the tour guide will lead the group around Downtown Greenville and Historic West End giving information of history at predetermined points of interests. At each stop, your tour guide will ask if anyone would like a photo of themselves or their party. The tour will end at the start location where the tour guide will answer any questions and make some recommendations of restaurants to visit on your stay.